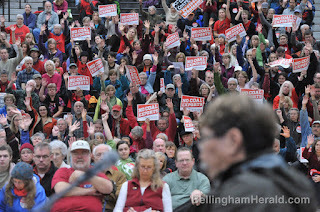 A few months ago community members including doctors, teachers, business-owners, fishers and tribal members from the pacific northwest and beyond submitted 124,000 comments to the Department of Ecology, Army Corps of Engineers and Whatcom County Planning Department with requests that these regulating agencies assess a broad range of probable impacts associated with the proposed Gateway Pacific coal terminal (GPT). 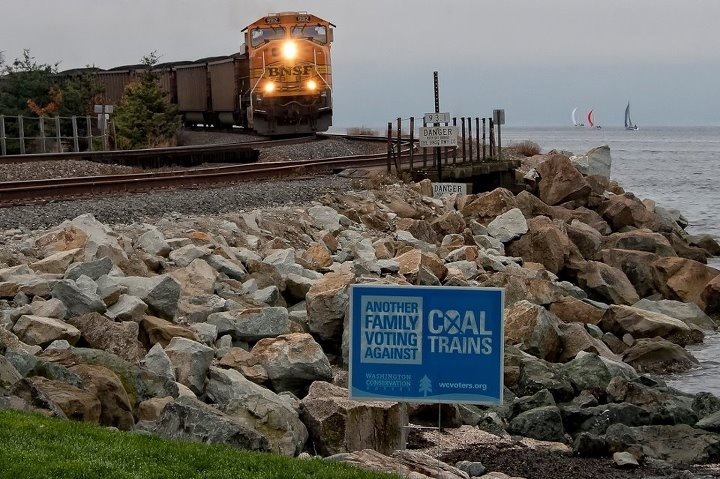 And just last week, a powerful and growing grassroots movement rallied in Vancouver against another coal terminal proposal in our region -- this one in Surrey, B.C. 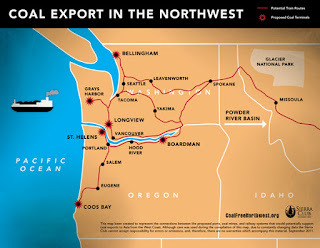 -- raising concerns about the combined impacts of the many different coal export terminal proposals throughout the Pacific Northwest. 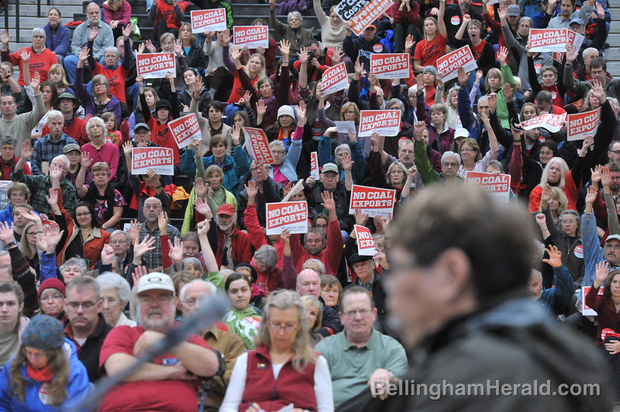 As the Gateway Pacific Terminal environmental assessment progresses, our community must continue to hold our regulating agencies accountable for the various potential impacts of the proposed coal port at Cherry Point. 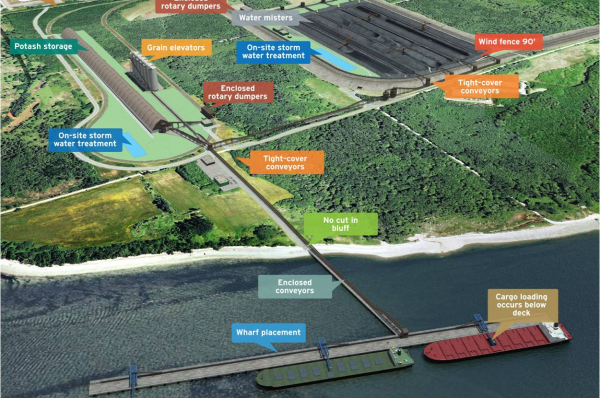 But with a total of four remaining coal export terminals proposed in Washington, Oregon and British Columbia, we also need to be sure we understand the cumulative impacts of all the terminals in combination -- impacts sure to be massive should all four go forward. The people of the Pacific Northwest and B.C. deserve an area-wide environmental impact statement, called an EIS, so we can understand how our lives, and the environment we depend on, will change. It's that simple. Here's the problem: broad-scale combined impacts that affect the entire region, along with the specific local impacts to communities along 1,100 miles of rail will never be considered by the regulating agencies if each terminal is reviewed in its own vacuum. But this is exactly what SSA Marine (the project's proponent) wants. And they're pouring hundreds of thousands, if not millions, of dollars into public relations campaigns to make sure it happens. If this were the right idea, would it cost so much to sell it to us? At RE Sources, we believe that projects that have the potential to affect an entire region must be looked at regionally; in the context of all their impacts and alongside all of the similar proposals, no matter what promises are made in their glossy fliers. SSA is on the record asking the agencies to limit the scope of the EIS to the 1,200 acres of beaches, forests and wetlands at Cherry Point. If SSA gets its way we won't see any assessment of the impacts that matter to all of us: Boulevard Park's closure to convenient access, years of coal discharge into the Columbia River, cumulative health and economic impacts of decades of 18 more trains a day through our communities, increased oil spill risk in the Salish Sea, the loss of tourism and fishing dollars and increased taxes for rail improvements. 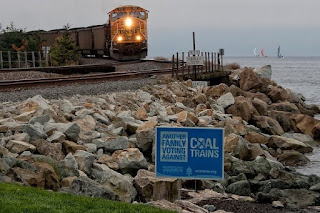 For these reasons and more, we are joining with our partners in Power Past Coal to demand an area-wide environmental impact statement -- because it's the only way we can guarantee a good, clear look at the combined impacts these coal terminals would have on our lives and our communities. Coal companies claim our call for an area-wide EIS is an attempt at obstruction -- the truth is, they're afraid of the public finding out the whole truth about the impacts the terminals will have on our lives and livelihoods. 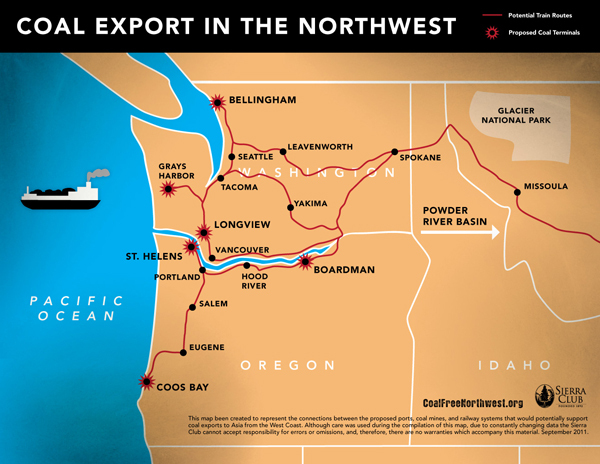 At RE Sources, we're doing all we can to advocate for a fair and honest process that provides the citizens of the Northwest with the tools to make informed decisions about what it would mean to become the fossil fuel corridor to the world. Join us and lend your voice to this growing public insistence that our health, our economy and our environment should matter. Crina Hoyer is the Executive Director of RE Sources for Sustainable Communities in Bellingham. RE Sources promotes sustainable communities and the health of local people and ecosystems through science, education, advocacy and action. More information, along with a link to the petition calling for an area-wide EIS, can be found online at resources.org. "Researchers from Harvard University’s School of Public Health found that pregnant women exposed to high levels of diesel particulates or mercury were twice as likely to have an autistic child compared with peers in low-pollution areas. The findings, published today in Environmental Health Perspectives, are from the largest U.S. study to examine the ties between air pollution and autism." Another reason to expand the EIS. Beautiful maps, thanks! Definitely I am going to use them for my research when would have to write my lab report. Still, such a pity most of this infrastructure just serves to prolong overcome industries of the past, which will slow us down in developing the more local, profitable and sustainable energy infrastructure of the future - renewables combined with electrified transportation and heating technologies. All those billions of investments in oil and gas could go into local businesses instead, creating more equal economies in every State. Such a map of of the complete supply chains for solar, geothermal, biomass and PV infrastructure would be fascinating - beyond the eletricity generation map already published.